Polished Silver Finish Lobster Clasp Necklace Suspends A Strand Of Three, Dazzling Genuine Austrian Crystal Stones. 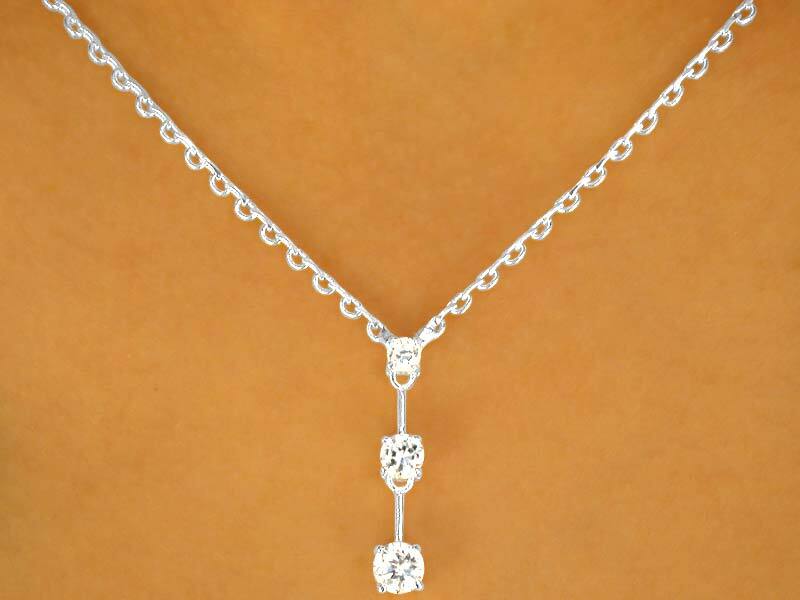 Necklace Includes Matching Titanium Post, Hypoallergenic Three-Stone Earrings. Necklace Measures 15" Long, Plus 1 1/2" Extender. 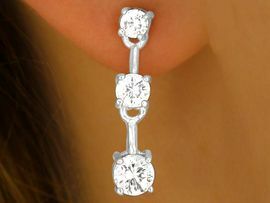 Earrings Measure 7/8"L x 3/16"W.